My name is Ehren Helmut Pflugfelder and I’m an Associate Professor of professional, technical, and scientific writing in the school of Writing, Literature, and Film at Oregon State University, where I am also currently the Director for Undergraduate Studies. I teach courses in a range of topics, including technical and professional writing, the teaching of writing, digital rhetoric and new media literacy, and science and environmental writing. I have a PhD in rhetoric and composition, with a focus in technical writing, from Purdue University, an MA from Case Western Reserve University, and a BSE from Slippery Rock University. I’m originally from Pittsburgh, PA, but now call Corvallis, OR home. 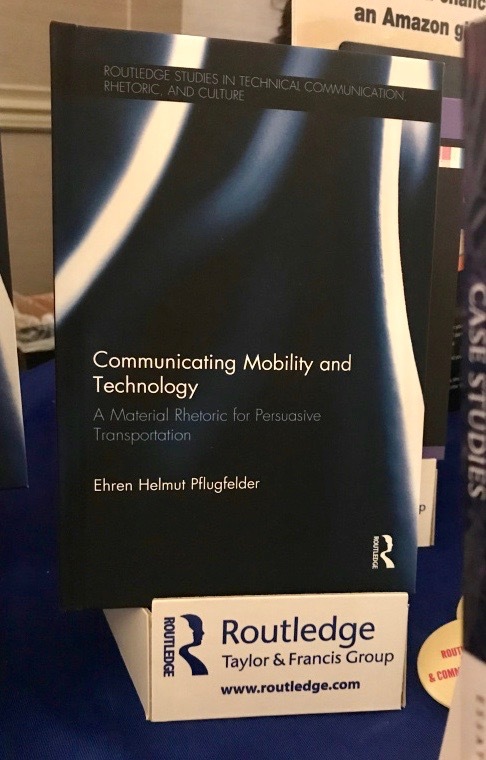 In 2016, I finished a book project that focuses on the relationship of classical rhetoric, technology, and mobility studies for the Routledge series “Studies in Technical Communication, Rhetoric, and Culture” called Communicating Mobility and Technology: A Material Rhetoric for Persuasive Transportation, which received positive reviews in IEEE Transactions of Professional Communication, Communication Design Quarterly, Rhetoric Society Quarterly, the Journal of Business and Technical Communication, and Transfers. It also won the 2018 CCCC award in the category of Best Book in Technical or Scientific Communication. In my spare time, I bike, brew beer, try to pet neighborhood cats, and curse at yardwork. At the moment, I’m switching research gears a bit and reading my way into scholarship on the rhetoric of science and large-scale environmetal engineering, among other things. With luck, I’ll start publishing some of that work in the coming year. You can find more information about my teaching, research, and service here and can contact me at ehren [dot] pflugfelder [at] oregonstate.edu.